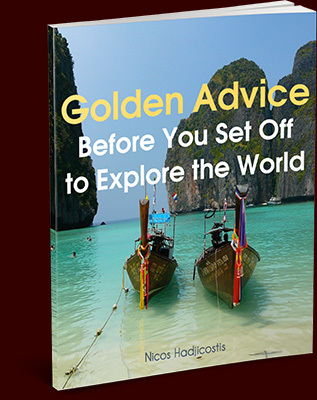 Join the Restless Tribe to receive the Tuesday Letters and the free ebook, Golden Advice Before You Set off to Explore the World. These letters, sent the first Tuesday of each month, encourage you to press the pause button on your daily routine. They invite you to explore existential questions, inspire you to think differently, and occasionally aim to awaken the latent world-traveler within you. If you don't receive an email with the ebook, please check your spam folder. Join the Restless Tribe to receive the Tuesday Letters and a free ebook, Golden Advice Before You Set off to Explore the World. My Tuesday Letters, sent every other week, encourage you to press the pause button on your daily routine. They invite you to explore existential questions, inspire you to think differently, and occasionally aim to awaken the latent world-traveler within you.